These lists could be endless, so here 3-5 is the limit! Well, I think everyone’s taking a break in Seattle (catching sun?!) More likely, they’re off in other parts of the world helping those in their global health efforts. There’s not too much at the moment, so I’ll post more when things pick up or the rain begins again in Seattle. 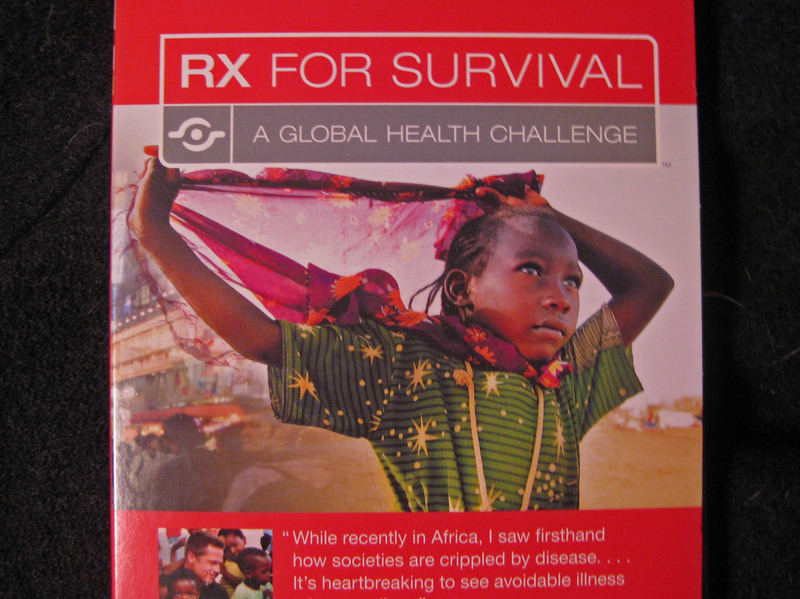 “RX for Survival: A Global Health Challenge” – superb DVD and PBS series; so easy to understand for global health beginners. “Flow” -privatization of water and its impact on global health, economies, politics. “Be the Change: Save a Life” – ABC News focus on global health issues & solutions. “Life and Debt” – Globalization ramifications on Jamaica, and lessons learned. “Living Proof” – inspiring stories of global health challenges and successes, through the Gates Foundation and One.org. Caring for the World by Paul Drain, et al. 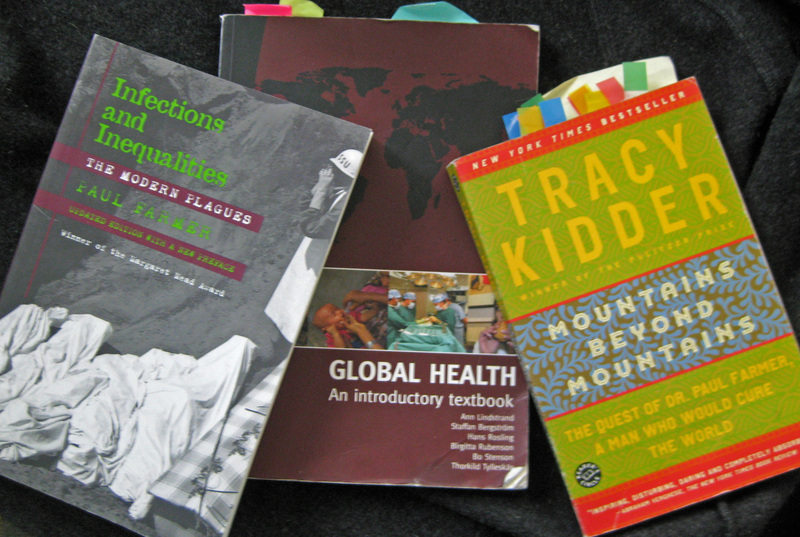 Global Health: An Introductory Textbook by Ann Lindstrand, et al. Textbook of International Health, (3rd ed) by Anne-Emanuelle Birin, et al. Washington Global Health Alliance (WGHA) compiles a comprehensive global health events calendar; including their “Discovery Series” with global health experts, scientists, and innovators. PATH offers events ranging from community coffees to back-door science lab tours and lectures. 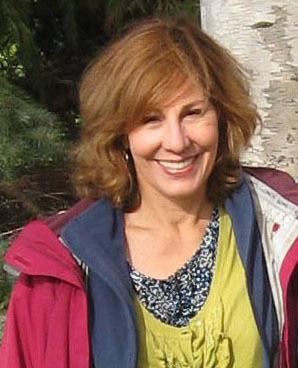 University of Washington Global Health Department hosts lectures and events on an almost-daily basis, compiled on its “This Week in Global Health” page, edited by Bobbi Nodell. Several undergrad/grad global health seminars are open to the public, such as the Friday brown-bag lunch seminar I regularly attend. Institute for Health Metrics and Evaluation (IHME) hosts researchers and experts for public lectures on global health topics ranging from infectious disease in Uganda to sustainable emergency plans in low-income countries. 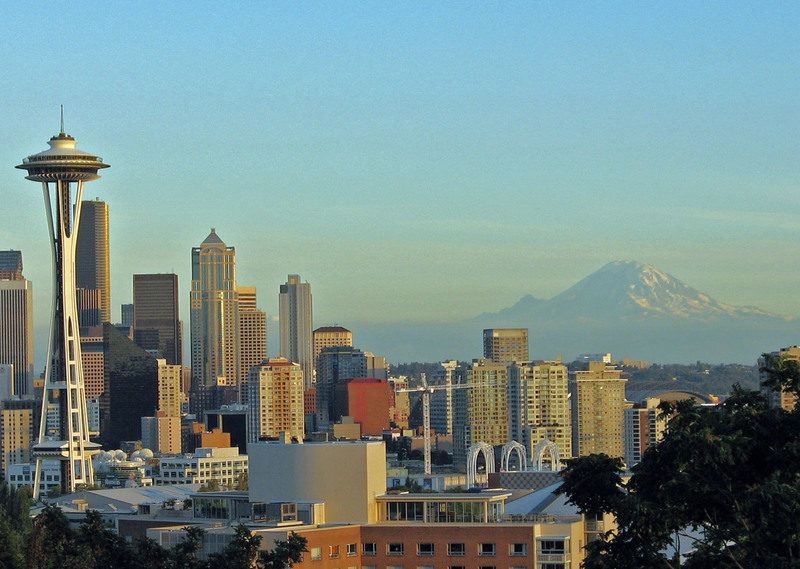 Seattle Biomedical Research Institute has both community and scientific events, with a popular global infectious disease seminar series on Mondays.